Moscow is Russia’s capital, and it’s widely hailed to be one of the most beautifully designed cities in the world. The Kremlin forms the center of Moscow as home to the President, and it even holds the Armory. If you go to Moscow, you must also visit the Red Square, which happens to be another popular and significant spot in Moscow. In addition to that, you can view a number of grand architecture known for their beautiful dome shaped tops. The following are some of the best hotels in all of Moscow. The St Regis Moscow is located in an extremely fortunate address, considering it’s a mere five minutes away from the Red Square on foot. It’s located on Lubyanka Square, which proves to make it one of the most popular hotels in Moscow, as it’s within walking distance of such tourist hotspots as Lenin’s Mausoleum, and even St Basil’s Cathedral. If you’d like to have a look at the KGB building Lubyanka, it’s right across from the hotel. This hotel was once home to Count Orlov-Davydov, and as such it was a part of Russia’s aristocracy before the October revolt changed everything. However, despite all the changes and turmoil in Russia, this building has stood the tests of time, and even most of its architecture and aesthetic is a remnant from its Tsarist past, and as such you can be assured a royal treatment. The lobby has been designed in a formidable yet glittering style with grand staircases that meet in the middle, and chandeliers that are constantly twinkling. It feels like a scene ready for a Ball. You will also be able to avail the service of a 24/7 concierge and the hospitality of the hotel will always be within reach. 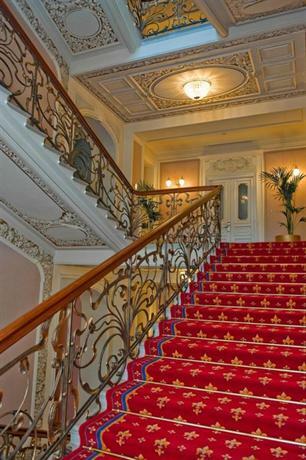 There are 210 rooms in the hotel, and all of them feature extremely regal and bold decorations. The rooms have been designed in a classical vein, featuring a color palette comprising mostly gold, red, and peach shades. The bathroom, unfortunately, isn’t as spacious as it could have been, but that’s just a minor hitch in an otherwise perfect hotel. The Ritz-Carlton hotel is one of the best hotels in Moscow primarily because of the fact that no other hotel in Moscow could possibly get any more central than this. In fact, the hotel is right next to the Red Square tomb next door which holds Lenin’s remains. The only drawback to being this central and well-connected is the fact that you’re on the crossroads of all the traffic in Moscow. As soon as you step out of the padded sound-proofed confines of the hotel, you’ll be hit with a wall of sound from the adjoining traffic that can get pretty insane. However, as long as the hotel itself is peaceful, who cares right? This hotel, like most luxury hotels, has been designed in a manner so as to optimize comfort and extravagance while paying little heed to aesthetic personality. If you’re looking for a hotel that tells a story, this isn’t it. If you’re looking for some place to be pampered in style, step right up! The staff of the hotel is crisp, efficient, and polite, but not particularly friendly. That is also because the clientele that this hotel services, especially considering its central location, is mostly a serious-minded business type. As such efficiency is placed in higher regard to friendliness. If you’d like, you can also get yourself a personal butler for the course of the stay so that all your needs are taken care of. 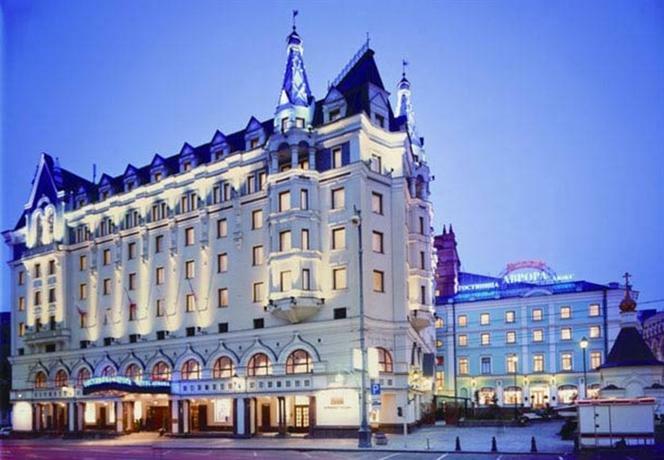 The Lotte Hotel is located in Novinskiy Boulevard, which is the prime location in downtown Moscow. As such, this is the place to be if you want to casually explore the culture of the city, or if you want to go splurge in boutique stores and cafes. The hotel is within close vicinity to a lot of prime tourist destinations. For example, you can simply walk over to the Old Arbat Street, or you could go shopping at the Lotte Plaza, or if you’re keen on checking out some animals, you can go to the Moscow Zoo. There are plenty of other popular tourist destinations in the vicinity as well. The hotel is 10 storey tall and it has been designed with sheer extravagance, luxury, and opulence in mind. The hotel’s aesthetic falls in the halfway point where the classical and the contemporary meet, featuring a lot of marble sheen, golden glitter, and natural wood polish. The walls of the hotel are further lined with beautiful and large Russian works of art. There are 300 rooms and suites in the hotel, and this vast expanse makes the hotel quite a labyrinthine maze to navigate. The rooms in the hotel comprise various different sizes, however even the least spacious of the rooms are quite vast and luxurious. The bathrooms are all lined with marble, and the hotel gowns and slippers are extremely fluffy. The general color palette of the hotel rooms is brown and beige, and as such it’s a little less glaring than the common areas. 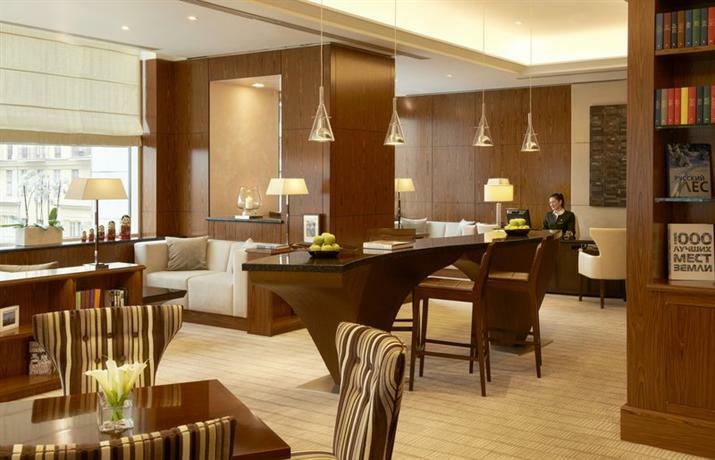 The Ararat Park Hyatt is located at an excellent juxtaposition of Bolshoi Theatre, Kremlin, and even the Red Square. All of them are within walking distance. While the Bolshoi Theatre is just across from the hotel, Red Square is a 10 minute walk away. If you’d like to go out for a bite, you can find plenty of great bars, restaurants, and cafes in the street right outside the hotel. The hotel is also really close to three different Metro Stations and as such you can also be well connected to the rest of the city. 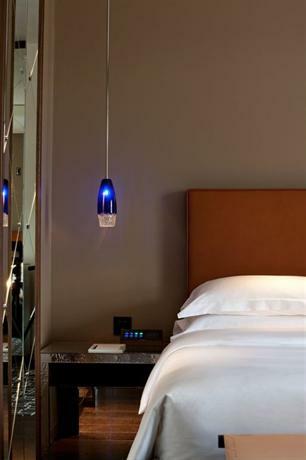 The Ararat Park Hyatt is all contemporary and modern throughout, in the truest sense of the word. It’s made in a designer style with quirky and interesting aesthetic details used, and it’s incredibly luxurious with a look comprising polished chrome and steel. The hotel features a central atrium, and there are 208 rooms that are arranged around it, in view of it. The rooms are all modern as well, with iPod docking stations installed in each of them, and the furnishings are all modern in style. 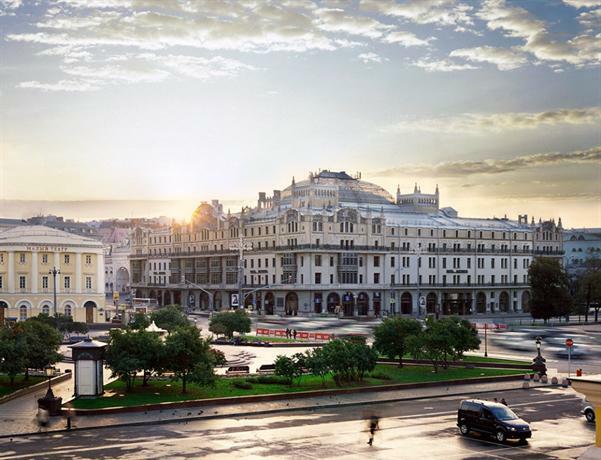 If you want some truly splendid views from your room, you should get the suite at the very top floor of the hotel, from which you get sweeping views of the Bolshoi Theatre, the Neglinnaya Street, and the city at large. 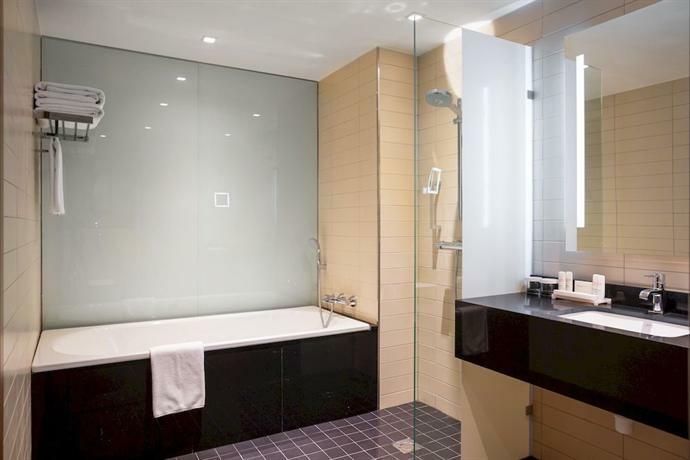 If you go up to the penthouse, you can also have your own rooftop whirlpool tub. The Radisson Royal Moscow is located off the coast of the Moskva River, and as such it comes with a line of water taxis and yachts which guests can use to ride around on the river and explore the city from a unique perspective. The nearest metro station is 10 minutes away from the hotel, and as such the hotel is decently connected to the rest of the city, however there’s nothing much to see in the immediate vicinity. If you take this hotel it’s advisable to take it for a small part of your vacation so you can enjoy the river sights, but then move to a more central location. The interiors of the hotel are also really grand, and one of the most attractive features in the hotel is the live-scale diorama of the city that has been made in its visage circa 1970s. However, the hotel has also allowed several shops to pop up, and as such it has ruined some of the grand and regal aesthetic beauty of the hotel, making it seem more like a shopping complex. There are 497 rooms in the hotel, 38 service apartments, and 14 meeting rooms. 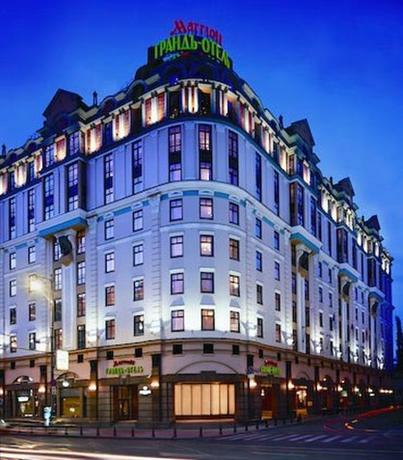 As such, it’s one of the largest hotels in Moscow, and it’s also quite ideal for businessmen. The rooms are fairly ordinary. Luxurious, yet ordinary. If you’re looking for a room and hotel with a lot of personality, skip this. The Moscow Marriott Royal Aurora Hotel is located on the Petrovka Street, and as such it’s quite central and you can easily take a stroll over to the Bolshoi Theatre, Kremlin, or Red Square. If you’d like to go shopping, the TSUM center is just a short walk away. The hotel has been designed in a style that is perfectly Russian in aesthetic, comprising little towers and arches. 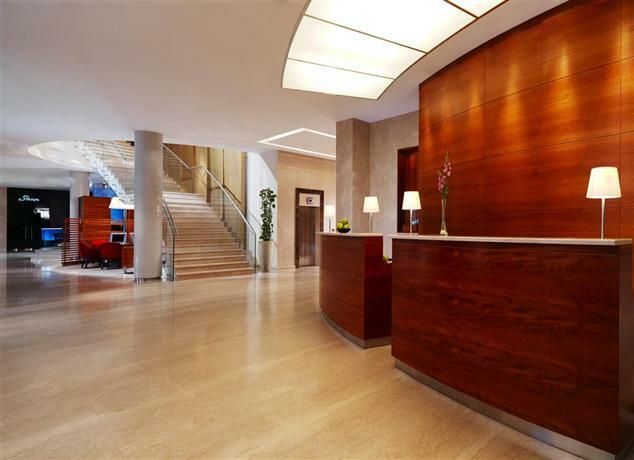 The lobby of the hotel has a dome ceiling, and the interiors generally look really elegant in neutral shades. There are 232 rooms in the hotel and they have more of a personality. All of them feature a different color palette, while some favor red, others favor green, or blue. The Hotel Savoy is quite close to the Lubyanka KGB headquarters, and as such it’s quite close to a lot of other prime attractions as well such as Lenin’s tomb in Red Square. The Kremlin is especially close to the hotel, being just around the block. The hotel has been designed in an aesthetic sense that mixes the contemporary style of Italian furnishings with some Art Nouveau leanings. The walls of the hotel also feature lots of beautiful oil paintings, and the ceilings have been painted with the images of cherubs in flight. The most stunning aspect of the hotel is the bathroom decor. 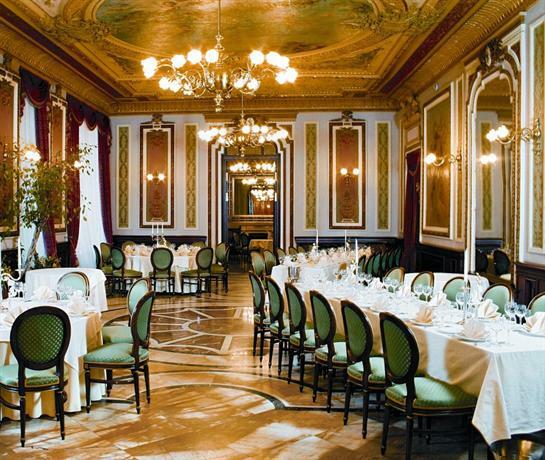 There are 67 rooms in the hotel and all of them come with pink marble bathrooms with magnifying mirrors and warm floors. 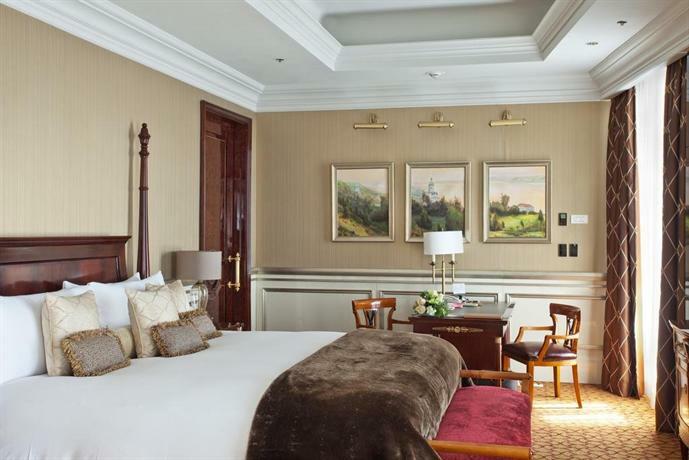 The Hotel Baltschug Kempinski is located in quite an ideal location. It’s not as central as some of the other hotels mentioned above, however it’s still central enough that the Kremlin and the Red Square are within walking distance. However, it’s located closer to the river and as such you can avoid the worst of the traffic found in that particular junction. The hotel is contemporary, modern, and suitably grand. The most impressive aspect of this hotel is that almost all the rooms offer you stunning views of the river. The Radisson Blu Hotel Moscow Sheremetyevo Airport, as the name suggests, is a hotel directly connected to the Sheremetyevo International Airport terminals. This is ideal for people who are only temporarily stopping by Moscow before taking another flight elsewhere. There’s not much to do in the vicinity of the hotel, though you can shop around in the airport itself. However, if you’re particularly fond of watching planes come and go, you should get a higher floor and you’ll get a nice view of all the action. 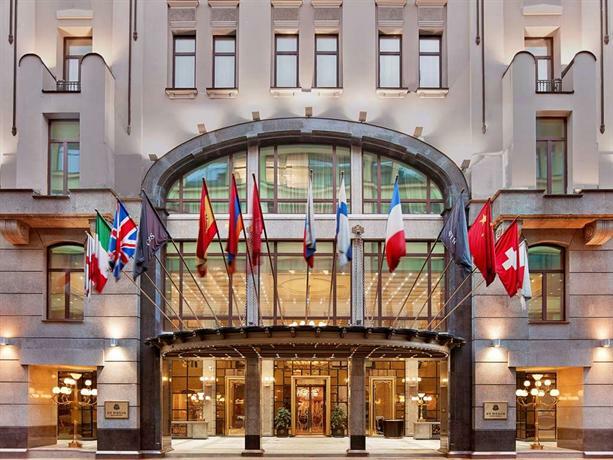 The InterContinental Moscow Tverskaya is a 15 minute walk away from the prime attractions of the city such as the Bolshoi Theatre and the Red Square. That makes it considerably less well placed than some of the earlier hotels. However, it’s central enough, unless you absolutely detest walking at all. There are 203 rooms in the hotel and they’ve all been decorated elegantly in a modern style. The furnitures in the rooms and common areas are all quite contemporary, and the rooms come equipped with work desks, mini-safes, and even Nespress machines. If you’re looking for beautiful views, the higher up the floor the better. 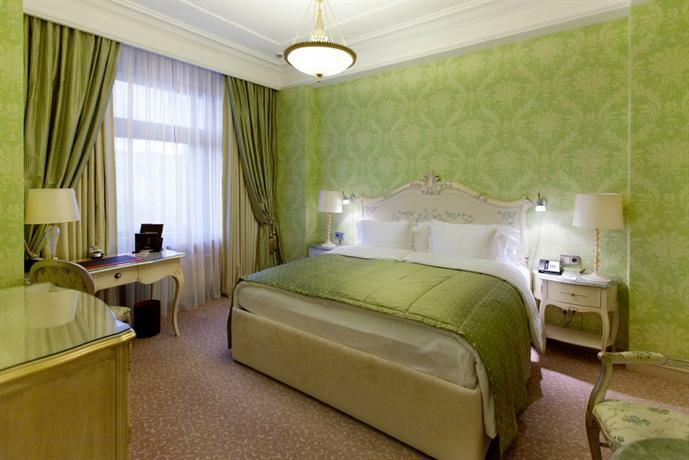 The National Hotel is another brilliantly positioned hotel, just opposite the Kremlin and the Red Square. The other prime tourist hotspots are also within walking distance. The hotel was opened in 1903, and has now been established as a landmark with a lot of historical significance. 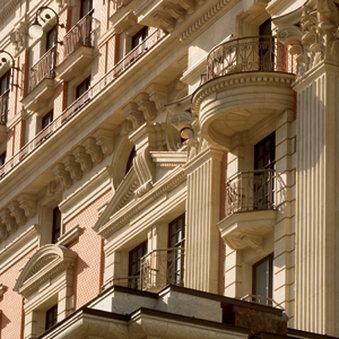 Lenin stayed in the hotel after the 1917 revolution, and as such this is quite an important hotel in Moscow. The hotel was renovated recently however they haven’t completely changed it. It still retains its elegance. The hotel mostly features gleaming marble floors and pillars, with gold details, and as such it looks bright and classy. The Swissotel Krasnye Holmy is located south of Garden Ring. People complain that you can’t walk to the city center from the hotel and that’s true. However, you can walk to the Paveletskaya Metro, which can then easily take you anywhere you like. The hotel has been designed keeping contemporary tastes in mind while not entirely abandoning the Russian influence. There’s a lot of bronze statues to be found in the hotel, and a lot of dome shaped structures as well. 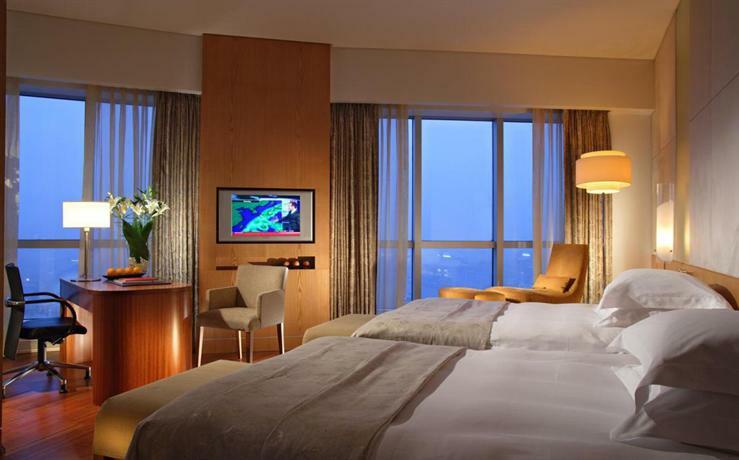 As far as the rooms are concerned, you should go for one of the rooms with a 180 degree curved window panoramic display of the city. The Sheraton Palace Hotel is positioned midway between the Garden and the Outer Rings of Moscow. You can reach sites such as the planetarium and the zoo within 20 minutes by foot, however this isn’t the most well connected hotel in Moscow. The lobby of the hotel has been designed in more of a subdued 70s aesthetic style, however they’ve taken more liberties with the room, keeping it multicolored and varied. The effort pays off because the rooms in the hotel are really wacky and unique. The Hotel Metropol is just a short three minute stroll away from the most important sites of Moscow such as the Red Square and the Kremlin. The structure was originally meant to hold an operatic theatre, however it was redesigned in 1905 to become a hotel. The hotel is unique in that it features some sculptures and artworks that are remnants from the 18th and 19th centuries. As such, art enthusiasts will love this hotel. Even the rooms feature original oil paintings and period furnishings. 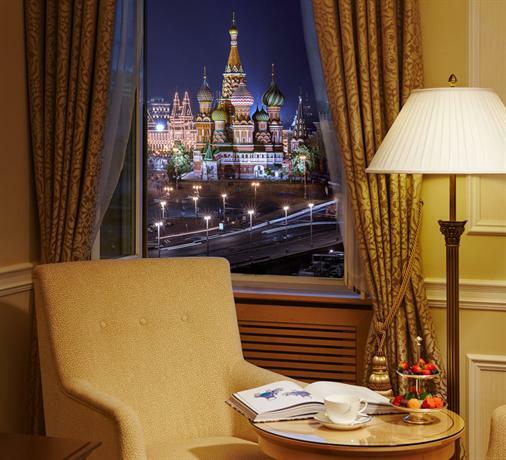 The best rooms in the hotel, the Deluxe and Grand Deluxe, have been designed in an Art Deco style and they enjoy an unhindered view of the Kremlin. The Marriott Grand Hotel is located in the middle of Tverskaya Street, and as such it’s surrounded by charming cafes and other high-end restaurants. It’s not central, and some of the prime attractions are 30 minutes away on foot, however it’s worth it. The hotel has been designed with a vast glass dome, and as such it feels like being in the open air. Sunlight pours down on the hotel and it’s always bright and sparkling. This is a great hotel to be in if you don’t much care for sightseeing, or if you don’t mind walking.